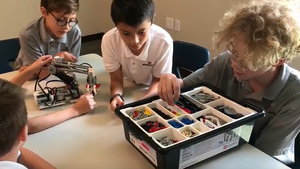 Belmont Academy Charter School’s science and technology blasted off this week, taking kids into the future with the start-up of The First Lego league robotics team, science club and demonstrations of technology curriculum in the classroom. 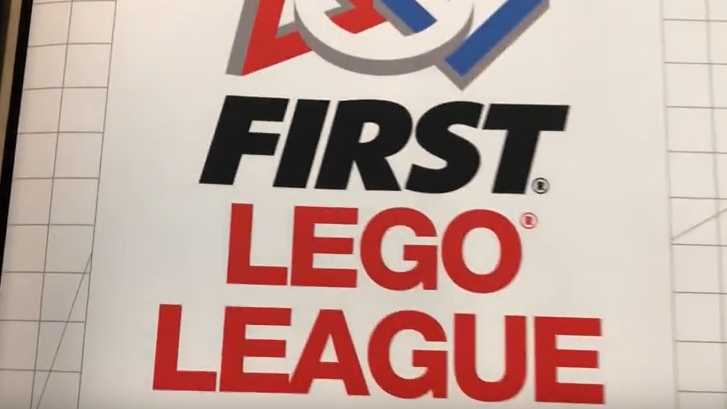 Mark Smith, organizer of The First Lego League robotics team, hosted the first meeting this week in Belmont’s new building. 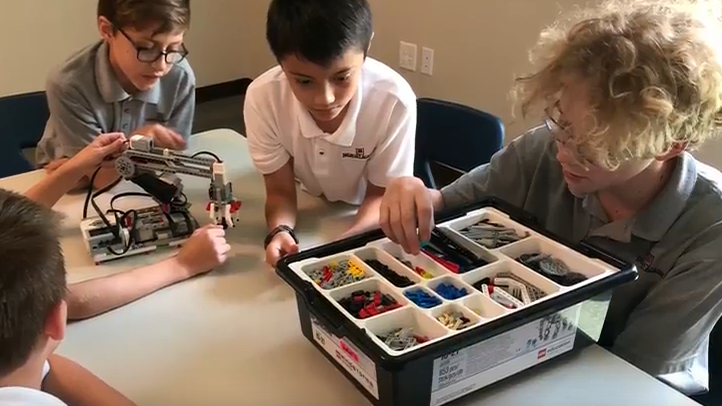 A room full of eager fifth, sixth and seventh grade students inspected the futuristic looking Lego machines that awaited them upon their arrival. 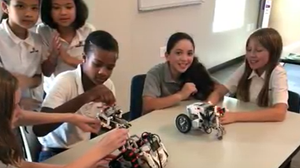 This is the third year of the Lego league at Belmont Academy and the program is growing. Mr. Smith said, “We are looking for anyone who is looking to come down to have an exciting time. The program allows students to solve real world problems while developing technical skills that prepare them for the future. There is still room and time if students would like to join. 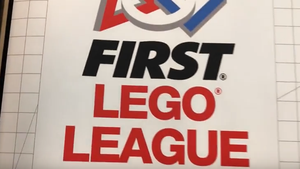 Mr. Smith encourages parents and families to contact him at brickguy22@gmail.com if they would like to know more about the program for their child. 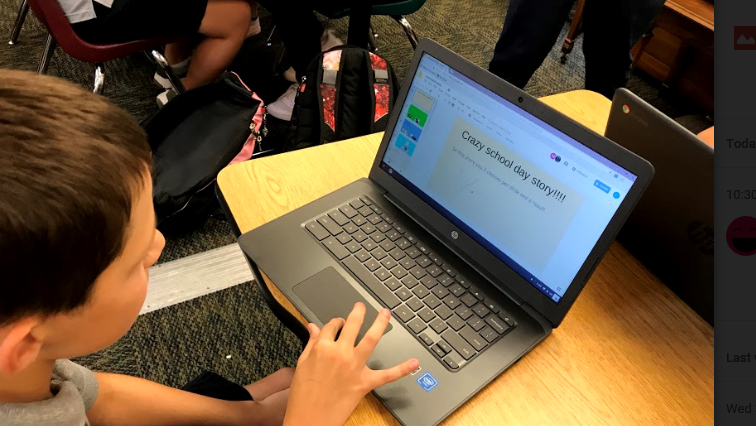 Computer technology is present in the classroom, preparing the young minds at Belmont Academy for the future. Mrs. Tyler, who teaches intervention with fourth, fifth and sixth grade as well as fifth, sixth and seventh block research, discussed how she is using technology in her classroom. “We are using the Chromebooks with Google slides, with a lot of animation. We are doing Google Docs, Google Maps, resumes, and adventure stories. It’s going to be a really fun class,” said Tyler. 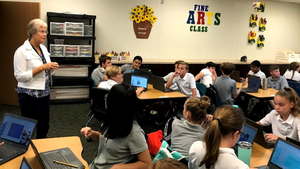 If you’re interested in seeing the excitement over technology in Mrs. Tyler’s class, watch this week’s Belmont Weekly News YouTube video, featuring Mrs. Tyler and more. Senior breakfast wrapped up the week in the cafeteria Friday morning. Other events this week included the Elementary Open house for K-5 and a Science Olympiad and Science Fair meeting.